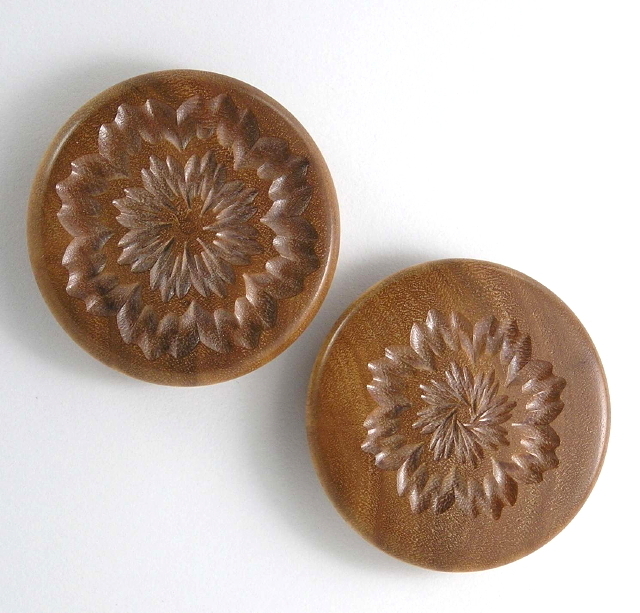 Fridge Magnets : No Skew Turns, Gifts handcrafted from the world's beautiful woods. 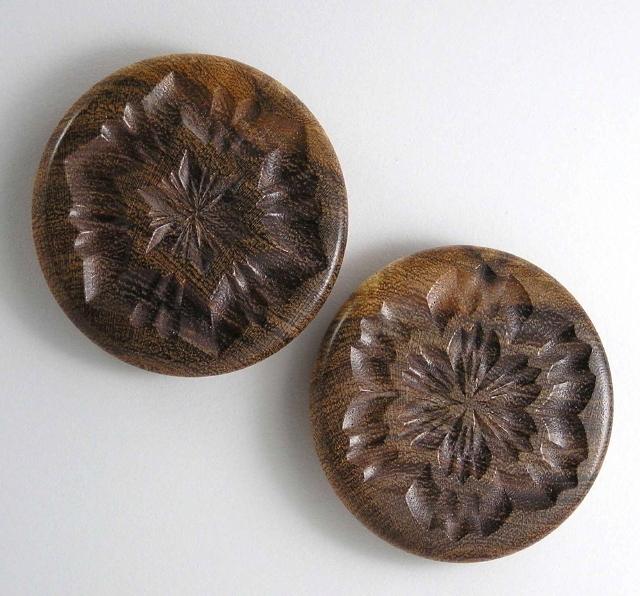 Wooden discs decorated with Rose Engine designs have a small but powerful ceramic magnet glued into the back. These will hold 3-4 sheets of paper securely to your refrigerator door or other steel surface. NOT for use on computer cases! No two magnets will have exactly the same Rose Engine design, since each disk is cut and decorated individually. The designs in each pair have been chosen to complement each other. 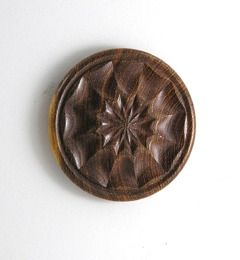 Dimensions vary: 2.0" - 2.25" diameter by .25" - .375" thick. PLEASE NOTE: I do not recommended these for families with very young children: in the unlikely event that the glue should fail, the small magnet poses a serious health hazard if it is swallowed.